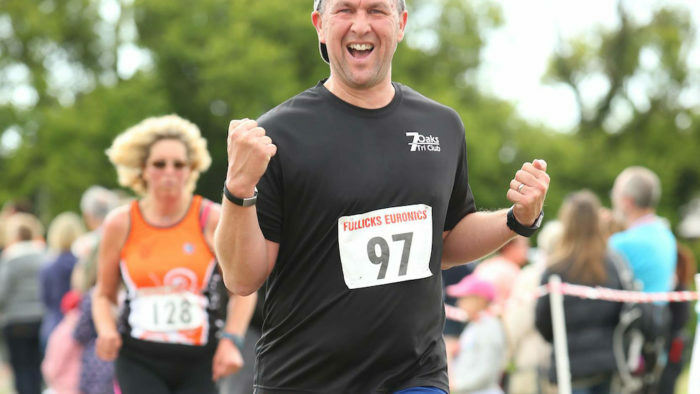 Mike Clyne has been running since 1982 aged 16 and tells us that age 52 he is still running and still loves it! 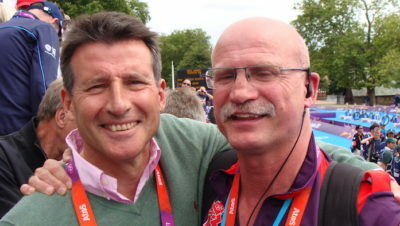 His first marathon aged 16 was the first of many and along the way he has encouraged others to run as well. 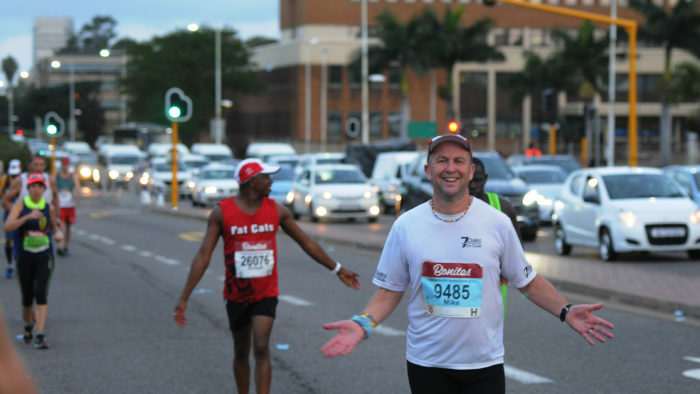 Mike has also completed a couple of Ultras (including Comrades), learning a thing or two along the way, and 10 Ironmans so isn’t a slouch but in his words “isn’t very fast”. When he isn’t running, he is often found with a microphone in hand as a race announcer / commentator (#mikeonthemic !) and virtually always with a smile on his face. 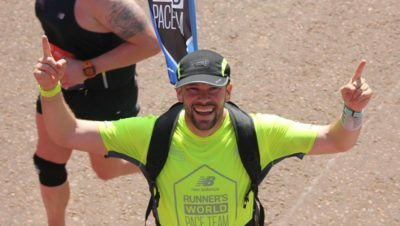 We caught up with him ahead of his 15th London Marathon to ask about his memories of Marathon Number 1. I watched the first London Marathons in 1981 and 1982. These did give me inspiration and the local pub where I worked as a teenager were organising a 10 mile fun run in October 1982 which I trained for and did it. Then did half marathons in March and April 1983. 2nd May 1983 in Abingdon – aged 16 and a half! I seem to remember I entered it around 6 months in advance – with a postal order, a paper entry form and a stamped addressed envelope! I lived a few miles from Richmond Park so often ran there, ran around and came home. Don’t remember any lows but just did loads of running! Luckily no. I seem to remember knees being a little sore on occasions. Yes – I was very excited and nervous. I did a 1980s version of carbo loading so felt like a real athlete. My parents and brother came along with the family of my friend that was running as well. I don’t think so, just wanted to finish. 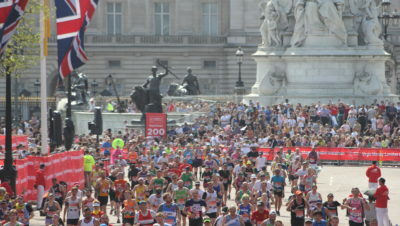 I just remember the later stages, it seemed quite quiet around me ie no many runners despite there being 1265 finishers. I ran with my friend for most of the race but he ended up finishing a few minutes ahead of me. Did remember chatting to a few other folks most of whom seemed really old (probably mid 20s to 30 but at that age everyone seems old). The finish line was just a scaffold arch in a field so quite small but as you finished the St Johns folks wrapped us in big thick army style blankets and looked after us. Not surprisingly I remember being utterly exhausted but pretty pleased with myself. My family were (and always have been) very encouraging and supportive. Back at school the next day there was quite a bit of interest from friends and a few teachers. No – that’s not really my thing. To be honest I can’t remember but yes it was hard! Again, I can’t remember but I did keep running after that. Highs were the feeling of achieving something that (with the exception of the chap I ran with) none of my friends had done and doing something sporty that stood out. There weren’t really any lows but I’m quite a positive person. I had no pacing plan at all – didn’t even think about it! As for nutrition – it was just water and orange squash in those days. I think my family drove around the course to see me so that was easy. Too long ago to remember but knowing me it would have been eat and sleep! How to pace myself, do longer training runs, more mental preparation, plan how to cope with the mentally tough sections. To this point I’ve done 36 marathons, two ultras (50k and 56 miles) and 10 Ironmans. In the 100 Marathon Club that means my tally is now 48! Plus I’ve done many many shorter races from 5k to 20 miles over the years. 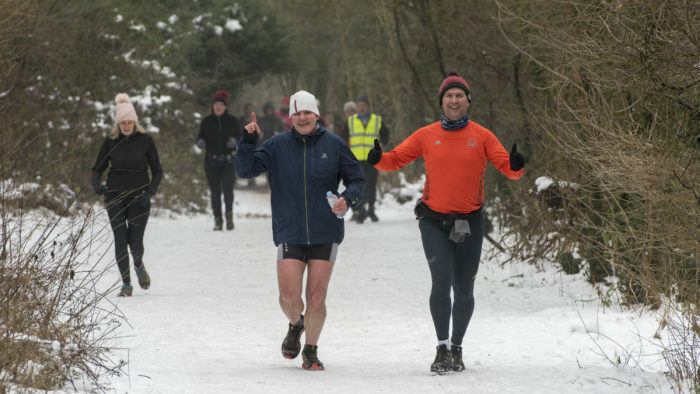 It was 21 years before the first parkrun and 30 years before my parkrun – so no!